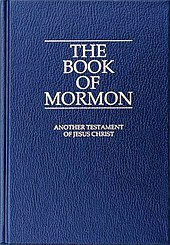 The Book of Mormon describes a number of individuals unique to its narrative as prophets. Here, the prophets included are those who, according to the narrative, inherited the plates of Nephi and who otherwise are called prophets within the text. Also included are the high priests mentioned and the missionaries. The following prophets are those mentioned in the plates of Nephi (1 Nephi through Omni). The following prophets are those mentioned in Mormon's abridgement of the large plates of Nephi (Mosiah through Moroni, excluding Ether). This page was last edited on 16 October 2018, at 01:45 (UTC).